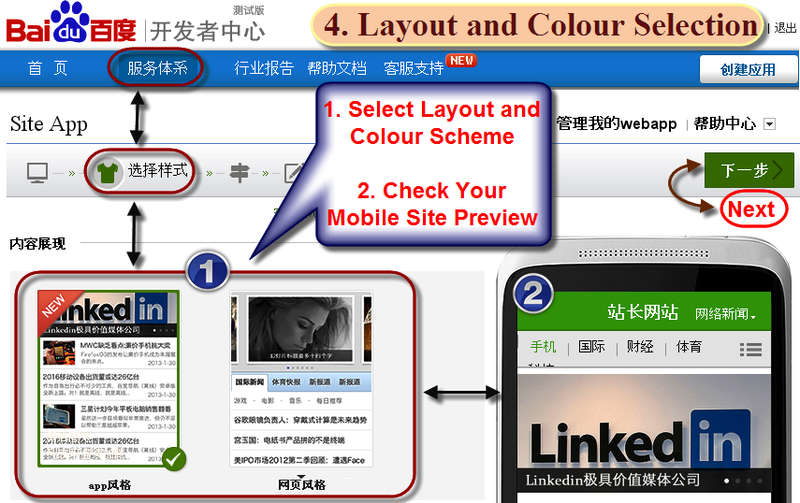 Baidu webmaster tools offers simple and free mobile site builder to convert your desktop website to a powerful mobile site. This is a complete free service from Baidu and surprisingly mobile editor is being offered as a part of free Baidu webmaster tools account. 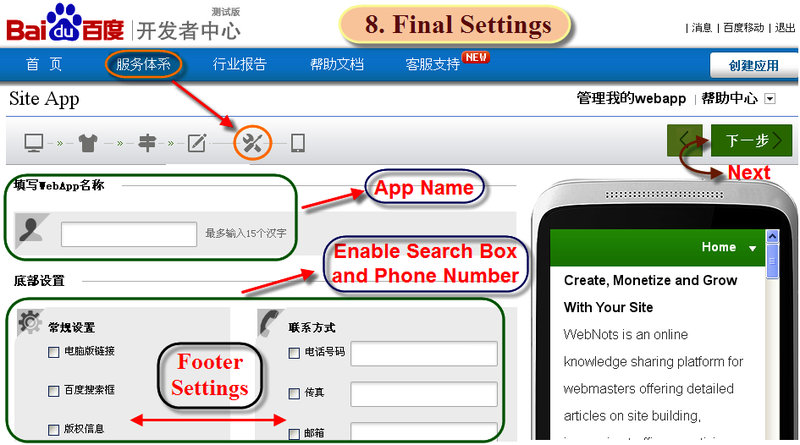 Since Baidu offers webmaster tools only in Chinese it is difficult for webmasters to make use of it even with translation tools. 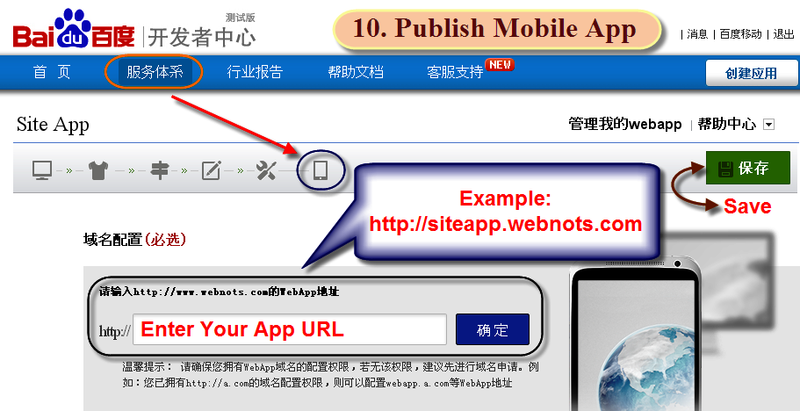 This article explains step by step illustration of how to create a free mobile app with Baidu webmaster tools account. 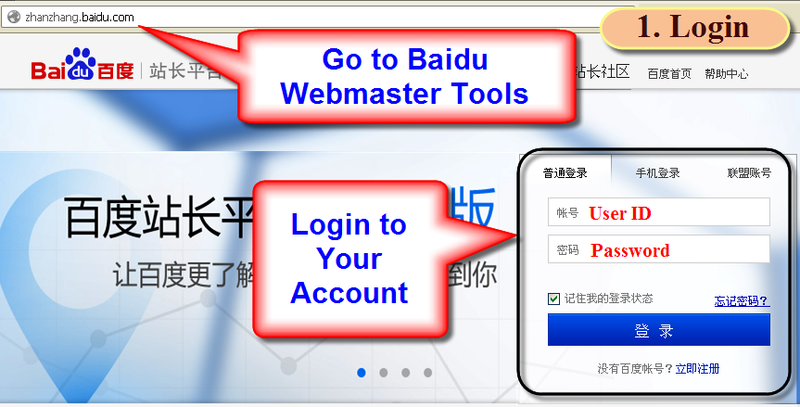 Click here to go to Baidu webmaster tools site and login to your account. Select “Site App” options under “Other Tools” menu as shown in the picture. Click on “Create WebApp” button to start building your free mobile app. 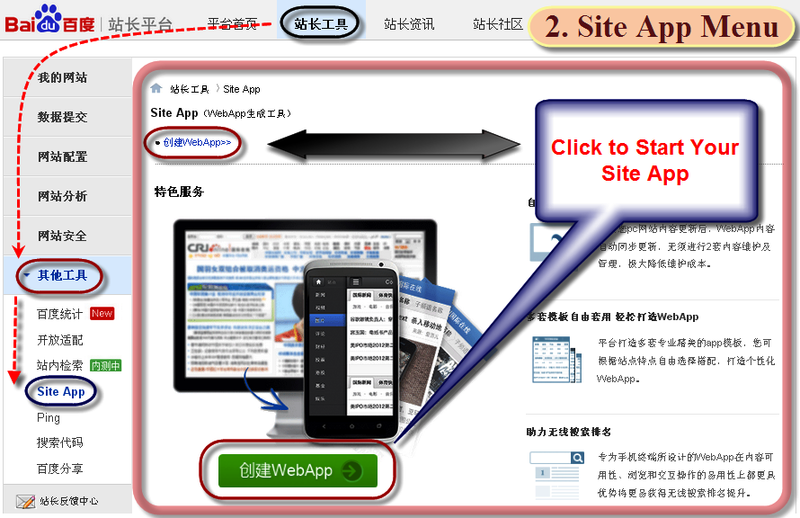 You will be taken to Baidu’s site app web page. You will see all the verified sites under your webmaster tools account in the site app builder screen. 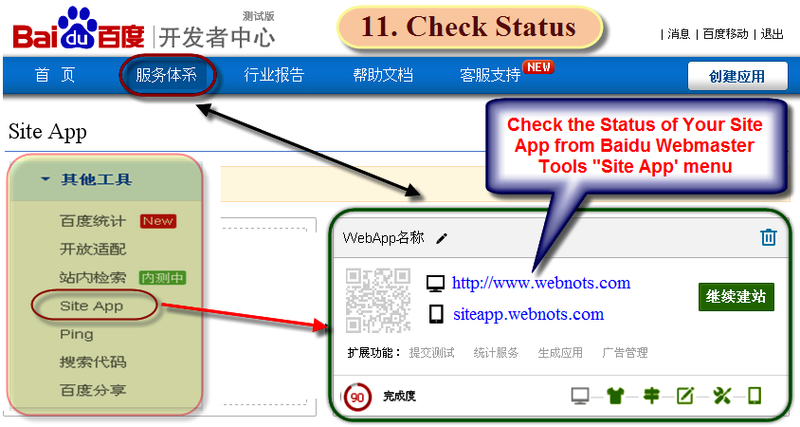 Learn verified site how to add and verify a site in Baidu webmaster tools account. You have the options to select your layout, colour and the style for your mobile site and the preview will be shown instantly in the mobile view. Once you are done click on the next button to go to the step. Here all your pages will be shown along with the mobile preview. 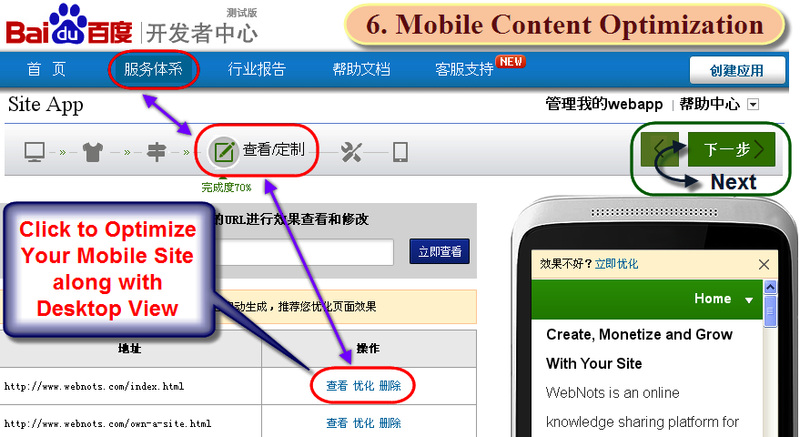 Arrange the order of your pages and check the preview in the mobile view. Once you are done click on the next button to go to next step. Optimize your individual mobile pages to fit into a mobile view. Clicking on the optimize link will take you to another page showing your desktop and mobile sites side by side. 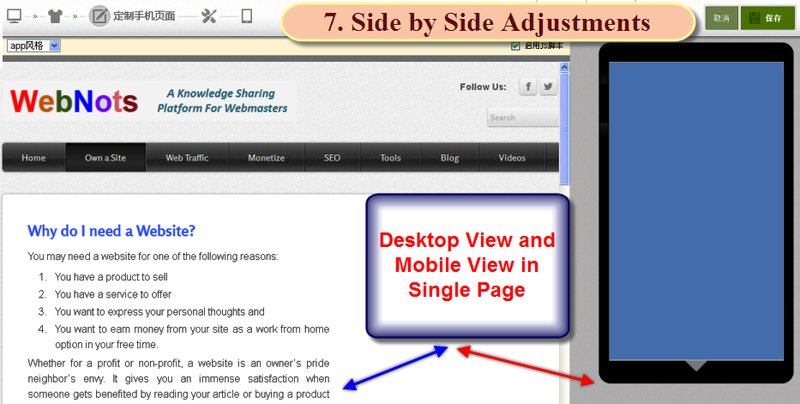 Here you can see your desktop and mobile site side by side and adjust each element in a page to suite mobile view. 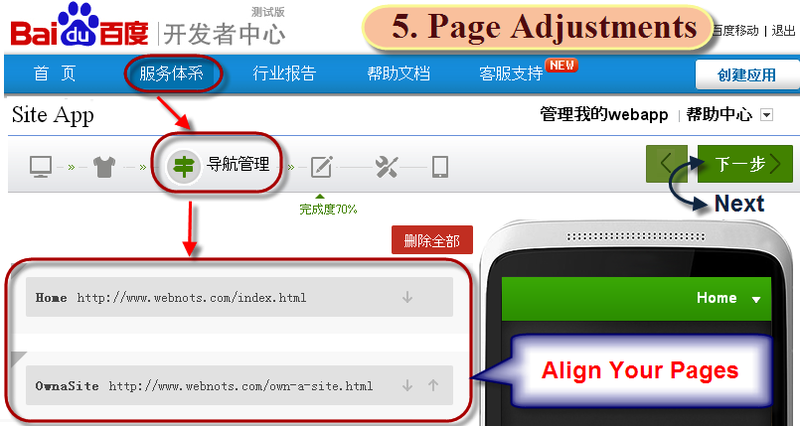 Save your changes after completing your adjustments and you will be redirected back to the page optimization section as in the step6. Your mobile site is almost ready now. 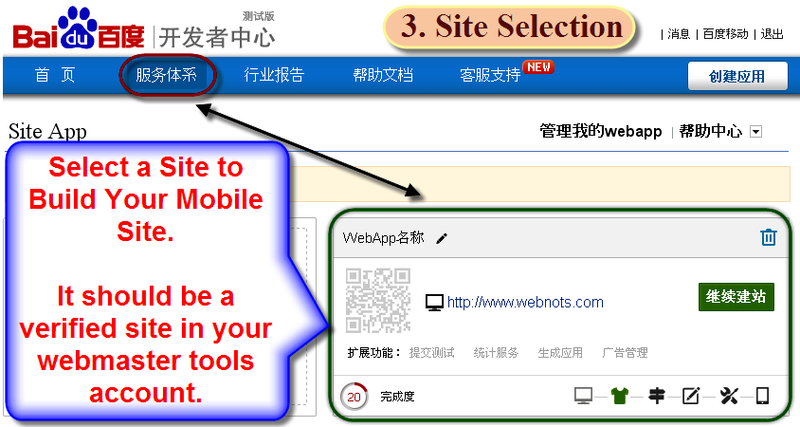 Provide a name and select the footer settings, for example you can enable Baidu search box in the footer of your mobile site. 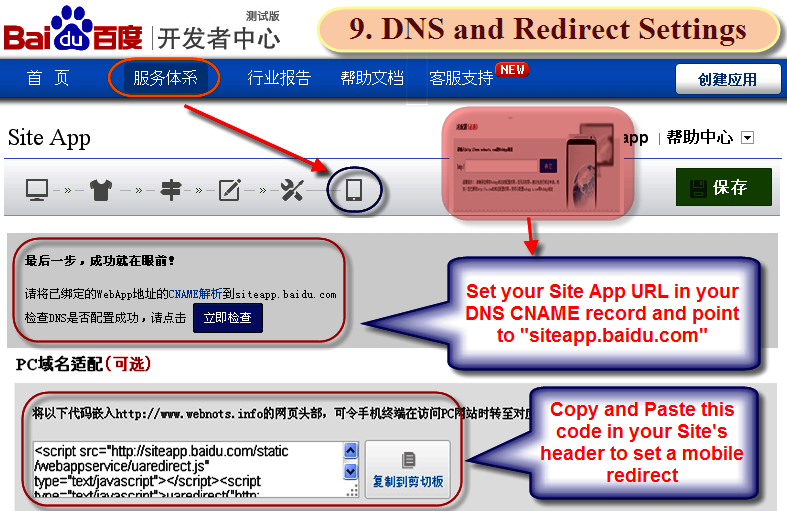 Select an app URL for your mobile site and point the same to “siteapp.baidu.com” in CNAME record of your DNS settings. Copy and paste the redirect code in your site’s header section, when someone opens your site in a mobile this redirect helps to send the user to your mobile site. The last step in building your mobile site is to enter the app URL and save your changes. You can see the status of your mobile site and the percentage of completion any time from the “Site App” link in your webmaster tools account.